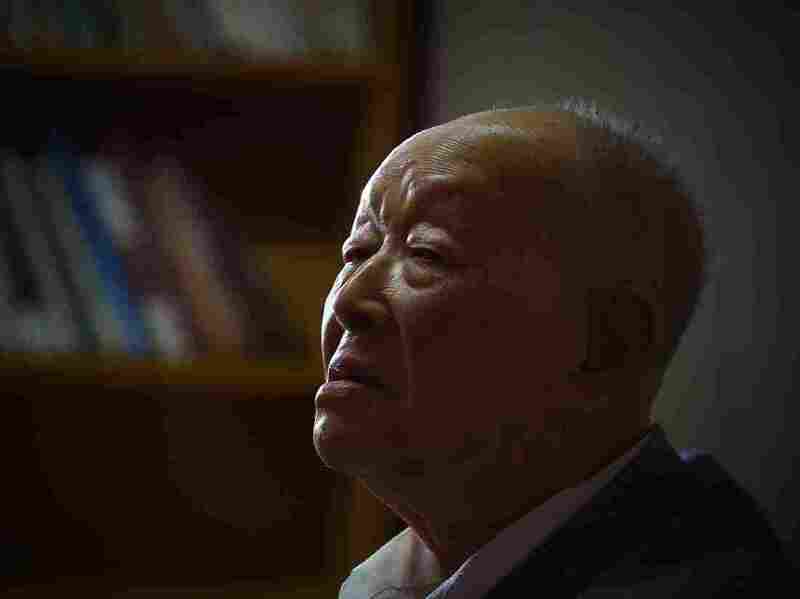 Zhou Youguang, Primary Architect Of Pinyin, Dies At 111 : The Two-Way In the 1950s, the linguist — then an "amateur" — helped create a system to Romanize Chinese writing. Zhou's system helped boost literacy and diminished the linguistic divide between East and West. Zhou Youguang sits at home in Beijing, in 2015. Born when a Qing dynasty emperor was on the throne, he went on to help invent the Pinyin writing system used for transliterating the Chinese alphabet. Pinyin, which was adopted by China in 1958, gave readers unfamiliar with Chinese characters a crucial tool to understand how to pronounce them. These characters do not readily disclose information on how to say them aloud — but with such a system as Pinyin, those characters more easily and clearly yield their meaning when converted into languages like English and Spanish, which use the Roman alphabet. While it was not the first system to Romanize Chinese, Pinyin has become the most widely accepted. For Chinese speakers, many of whom speak disparate dialects, its broad acceptance made education easier, giving instructors a single, relatively simple instrument to teach people how to read. Beyond China's borders, Pinyin allowed the standardization of Chinese names. For instance, it's a big reason why the name Westerners commonly use for the Chinese capital shifted from "Peking" to "Beijing." And it's why many other such names changed dramatically along with it. And yet Zhou, the man behind one of the most important linguistic innovations in the 20th century, said he was reluctant when asked by the Chinese government to take on the task in the mid-1950s. At the time, he was an economic scholar, only recently returned to China after a stint working on Wall Street in the U.S. He had come back to the country after its 1949 Communist revolution. "I said I was an amateur, a layman, I couldn't do the job," he told NPR in 2011, laughing. "But they said, it's a new job, everybody is an amateur. Everybody urged me to change professions, so I did. So from 1955, I abandoned economics and started studying writing systems." The committee Zhou led spent three years working on its alphabetic system. "People made fun of us, joking that it had taken us a long time to deal with just 26 letters," he told the BBC in 2012. Others took the committee's invention very seriously, however. The Communist government of China introduced Pinyin in schools in 1958. The international community eventually adopted it as the standard romanization for Chinese writing, as well, with the U.N. doing so in 1986. Before Pinyin, 85 percent of Chinese people could not read, according to the BBC. Now, UNICEF says the literacy rate in China hovers at about 95 percent. Lately, Pinyin has also been integral in determining the ways mobile phones and computers transmit Chinese characters. Still, despite the broad acceptance of his system, Zhou went on to become something of a thorn in the side of the country's Communist government. During the Cultural Revolution, in the '60s and '70s, Zhou drew the scrutiny of the Communist Party. In 1969, he was even labeled a "reactionary academic authority" and exiled to a labor camp for more than two years, reports The New York Times. But he was not dissuaded from speaking his mind for long. As he aged, he became more vocal about his dissatisfaction with the powers that be. 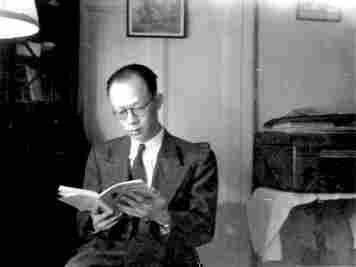 And, as Louisa Lim noted for NPR, Zhou was not afraid to use his stature to point out discrepancies he found in Communist Party doctrine. "In 1985, he translated the Encyclopaedia Britannica into Chinese and then worked on the second edition — placing him in a position to notice the U-turns in China's official line. At the time of the original translation, China's position was that the U.S. started the Korean War — but the encyclopedia said North Korea was to blame, Zhou recalls.
" 'That was troublesome, so we didn't include that bit. Later, the Chinese view changed. So we got permission from above to include it. That shows there's progress in China,' he says, adding, 'But it's too slow.' "
For a man born in 1906, under China's final dynasty, Zhou did more than most to help encourage the change he wished to see in his country. Though he died Saturday after more than a century of life, he is survived by the system he helped father, which continues to live on around the world. Clarification: This post has been updated to make clearer the fact that Pinyin was not the first system of Romanization.